Peru is rich in History & Culture. We invite you to come and discover the ancient Inca civilization in Machu Picchu, the Sacred Valley and Cusco, and meet the local cultures in Lima, Cusco, and Lake Titicaca with the Uros. Meet the locals, explore ancient ruins, and visit one of the Wonders of the World and UNESCO World Heritage Sites in Peru. Join us on a vacation that will open your mind, and fill it with knowledge and experiences that will last you for a lifetime. 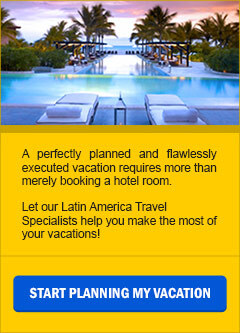 8-Day This vacation package introduces you to the Peruvian cultures of the Incas and the Aymaras. Visit Lima, Cusco, Machu Picchu, and Puno, and cruise Lake Titicaca to the floating islands of the Uros. Enjoy a quick look around of Lima, the City of Kings, with our 3-day vacation package that features visits to Miraflores, San Isidro, and the downtown Colonial section. Tour Arequipa, Colca Canyon & Lake Titicaca with our 5-day vacation package which features Santa Catalina Monastery, the flight of the Condor and a cruise to the floating islands of the Uros people and to the Island of Taquile.